Celebrate St. Patrick's Day in true Irish style with the freshest of food. 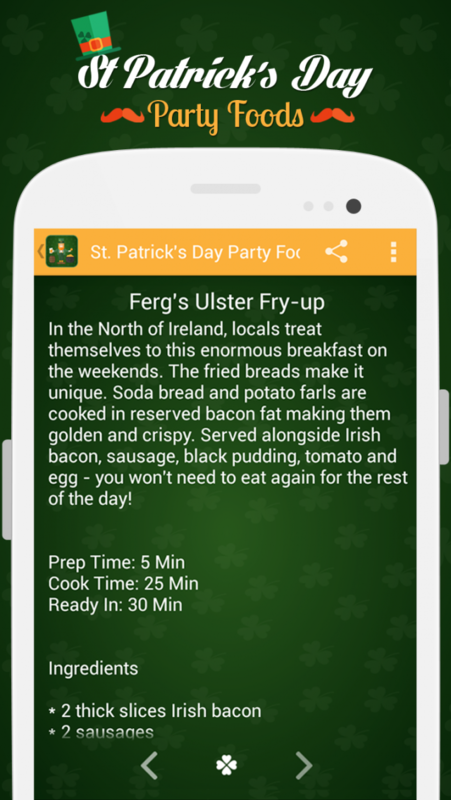 Many Irish-Americans celebrate St. Patrick's Day with this favorite dish. 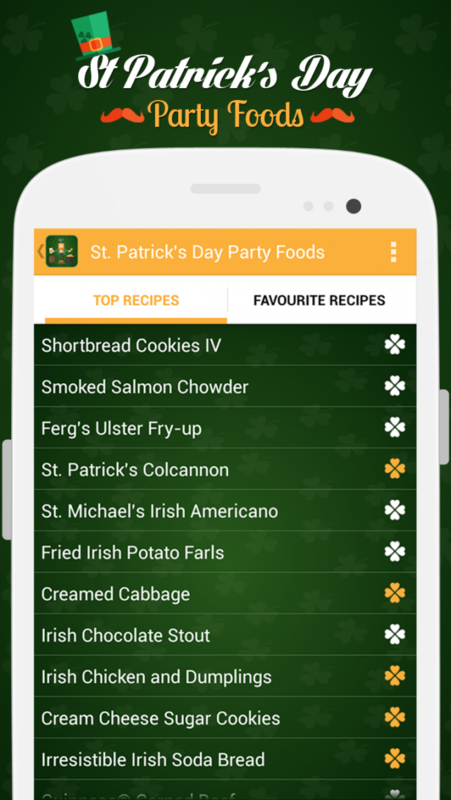 Find recipes of st. Patrick’s Day, whether you're Irish for the day or Irish all the way. 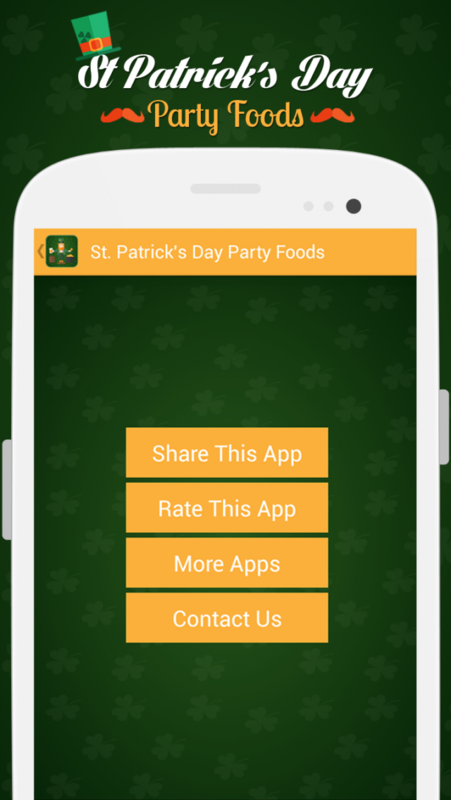 You won't need the luck of the Irish to make this St. Patrick's Day your most delicious yet, just try most popular St. Patrick recipes at your finger tip! Spread the luck of the Irish with this collection of green cuisine that honors St. Patrick! 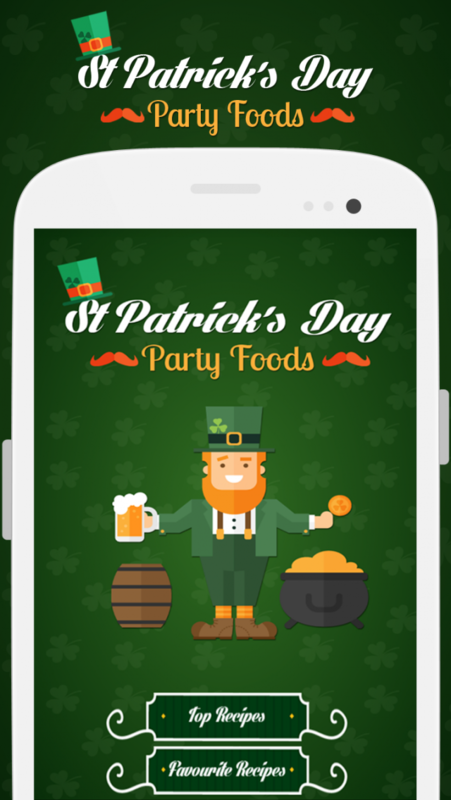 March 17 is St. Patrick's Day, and you know what that means... wear something green and enjoy eating a supper of corned beef and cabbage! St. Patrick's Day is a happy holiday for the Irish wherever they may be - in Dublin, New York City, Boston, or San Francisco. The day celebrated with parades, speeches, festive dinners, and dances. Green is the color of the day. 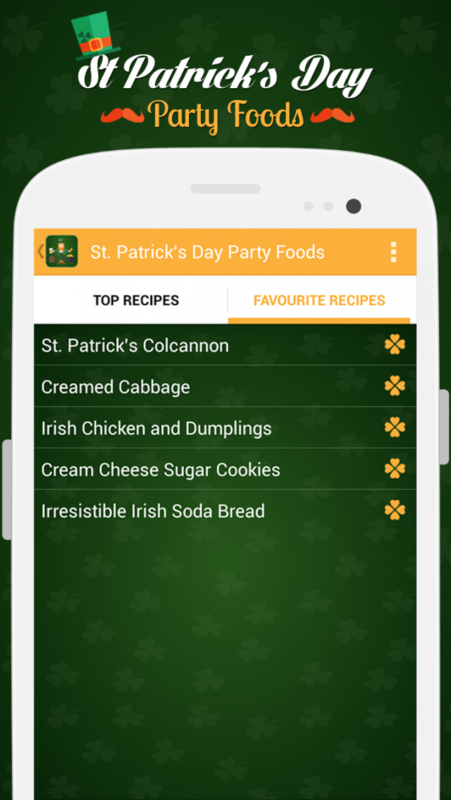 What could be more perfect for a St. Patrick's Day celebration than green food? These recipes will add a fun touch to any party! Get it now!! !